With the cold nights starting to draw in we all need something to brighten our day. Well here at BetOTG we think we’ve found it in Bright Bingo. With gorgeous, lush green fields and bright blue sky’s with shimmering rainbows colouring the sky it really does put you in a great mood. So here’s what you can get right now when you sign-up to Bright Bingo. Bright Bingo has a nice little signup offer for new players. If you join today they will give you £2 FREE Sign-up Bonus. That’s right there’s no catch and no deposit required. All you need to do is enter your details and in 3 easy steps the money is in your account to play on anything you want. If you want to make a deposit Bright Bingo has a great first deposit deal. Deposit as little as £10 and get £30 Completely Free, with £40 in your account to play. 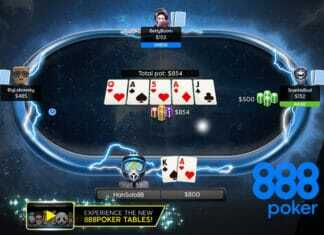 What’s more place £20 and get a massive £60 FREE Welcome Bonus with £80 to play with. So what are you waiting for get playing! You can also join Bright Bingo’s very generous Loyalty Scheme. Regular players can advance through each level by gaining XP points which are earned the more you play. And the more levels you advance the more gold coins you’ll earn which you can be converted to bonuses. See terms and conditions for more details. 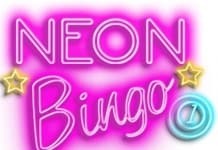 Bright Bingo has lots of jackpots on offer. First off new customer can get the chance to play in the Freebie Room so you can get some practice in as well as get a few games for free. With Rainbow Rollover you can win £500 every night and not to mention Freebie Friday where everyone can play for free with jackpots of £100. There’s also Cashpot 200 which is available most days with jackpots of £200 and Spark Sunday’s where players can purchase cards for as low as 2p to win a massive jackpot of £500. They also have a fantastic selection of slot games to choose from including the brand new Bridesmaids. Its easier then ever to play all your fav bingo and slot games on any mobile device and Bright Bingo is no exception. You can play directly on the main website using any internet browser. The menus and images all adjust to the users screen size so if you using a large tablet or smaller mobile device the software will adjust so everything fits perfectly. But more importantly the games are really responsive to play on mobile using the touchscreen. This means you can play with lots of bingo cards just as quickly as you were in a bingo hall. You make make your first deposit using a variety of payment methods. All of which are safe a secure and include; UKash, Paysafe Card, VISA, Mastercard, Maestro, Neteller and Skrill. Bright Bingo is a real gem and has the potential to be one of the best new sites of 2015. Its colourful and bright menus put a beaming smile on your face. And the promotions and jackpots will keep you smiling and coming back for more.